Tim Dougherty has been serving clients as a Financial Advisor since 1986. Tim is a member of The Retirement Plan Advisory Group, a national strategic alliance of over 800 advisors from 420 independent advisor firms. RPAG members manage 22,000 retirement plans with strategic, expertly crafted consulting services for Qualified and Non-Qualified Plans to more than $100 billion collective assets under advisement. He was honored by the Society of Financial Service Professionals as a 2002 recipient of the Paul S. Mills scholarship, awarded for commitment to ethical practice, lifelong education, and volunteerism in the financial services industry, the highest honor awarded to SFSP members among its 24,000 members. Tim is past President for the National Association of Insurance and Financial Advisors – Greater Philadelphia - (NAIFA-GP) 2011-2012. 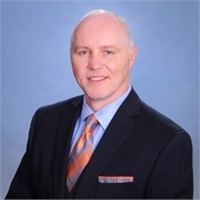 He is licensed to sell insurance and securities in FL, KY, NC, NJ, NY, and PA, and is an Investment Advisor Representative of MML Investors Services, LLC. A graduate of Lycoming College, Williamsport, PA with Bachelor of Arts in Business Administration and Economics, he enjoys music, golf, football, baseball, wrestling, travel, and dining with his wife, family, and friends. Tim resides in Jamison, PA with his wife Lisa and their two children, Timmy and Brynn.